Alumnae Theatre celebrated 100 years of continuous production with its 2017/18 season. We have been entertaining Torontonians with topical, thought-provoking and adventurous theatre for a century, making us the longest running theatre company in the city. We're also the oldest women-run theatre company in North America. 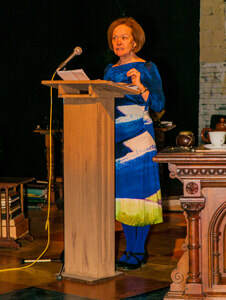 Alumnae Theatre Company's 100th Birthday Party featured special guest The Honourable Elizabeth Dowdeswell, Lieutenant Governor of Ontario, and was followed by the world premiere performance of Omission written by Alice Abracen and directed by Anne Harper. 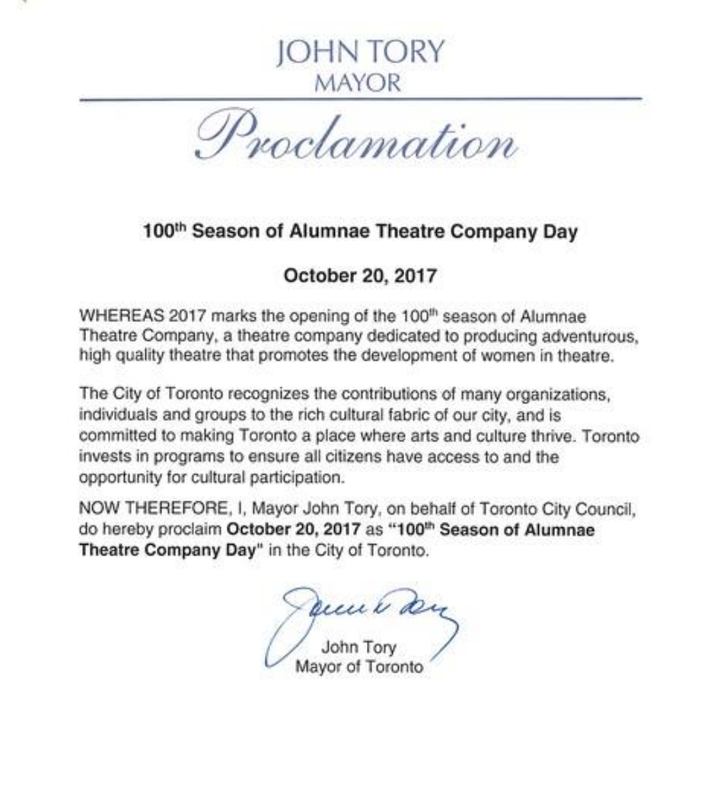 Toronto Mayor John Tory proclaimed October 20, 2017: 100th Season of Alumnae Theatre Company Day.